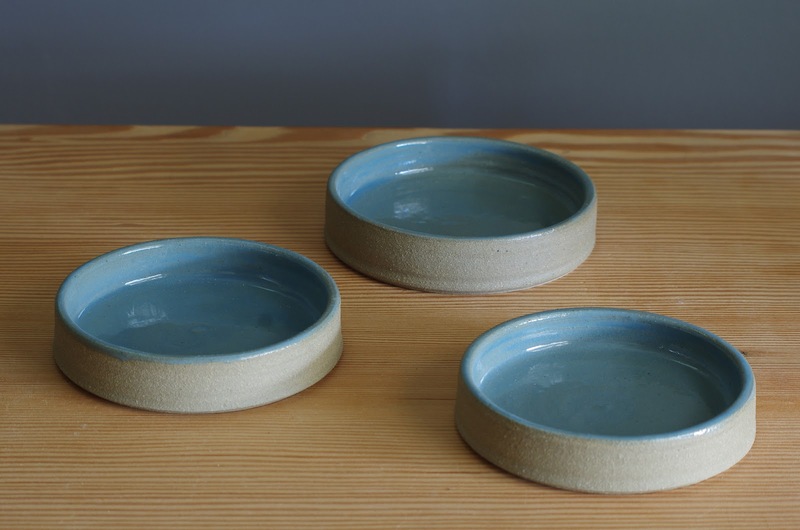 I love curating our shop especially when coming across such well-crafted and beautiful utilitarian pieces. 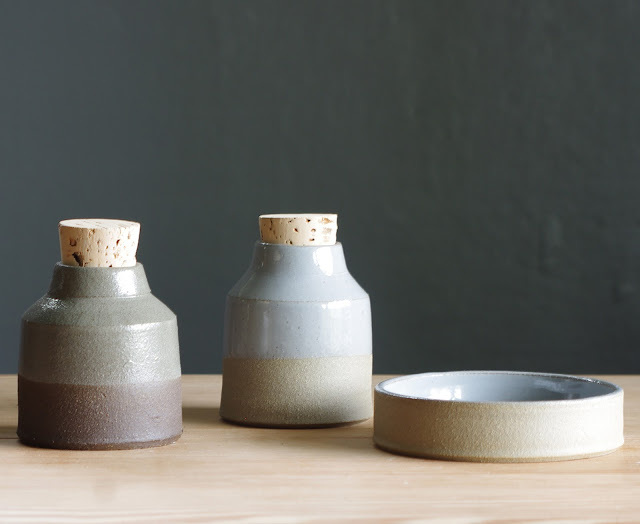 We are excited to add the functional ceramics by Portland based, Vitrified Studio in our home wares collection. Shelley Martin creates her minimalist ceramics on the potter's wheel and fire it in an electric kiln to cone 4-5. 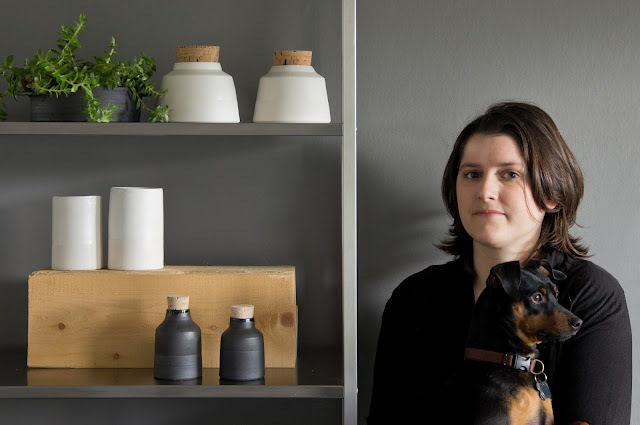 She uses 5 types of different stoneware and porcelain in her studio, glazed with muted colors paired with exposed unglazed clay body. 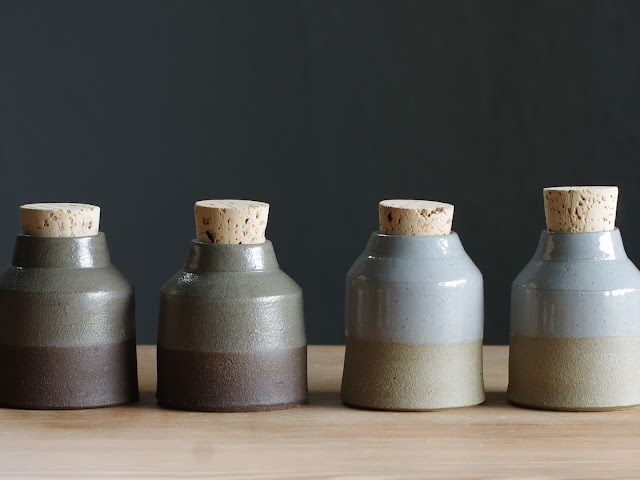 I love her corked bottles (perfect for spices or hidden treasures) and small trays! I use my little tray as a catch all for my rings and small earrings. It has been such a pleasure working with her to bring these designs to our shop. They're a great addition to your home essentials!